iCynosure.in is an Indian Fashion and Luxury Lifestyle blog that talks about Fashion, Beauty, Travel, Technology and Parenting. A team of creative contributors articulate thoughts that give our readers perspectives and opinions. Ranked as one of the Top Indian Fashion and Lifestyle Blogs in 2015 and 2017, iCynosure.in looks to bring more products and brands to our readers. Posted On May 12, 2015 by Team iCynosure. Remember the times when you needed those statement pieces in your closet, from necklaces to cocktail rings to prized clutches? This season is all about skirts. Having seen some of the most famous celebrities and some amazing fashion bloggers flaunt the new style must-have, I've kind of grown obsessed with skirts. If you've followed my style experiments, you would have noticed that skirts have hardly been a part of my outings. But I am sure going to alter that imbalance very soon. I've been eyeing some really amazing silhouettes for some time now and even though I am not very sure how these would actually look on my frame I ready to experiment now. It cannot be denied that wearing skirts is extremely comfortable especially in this crazy Mumbai heat. 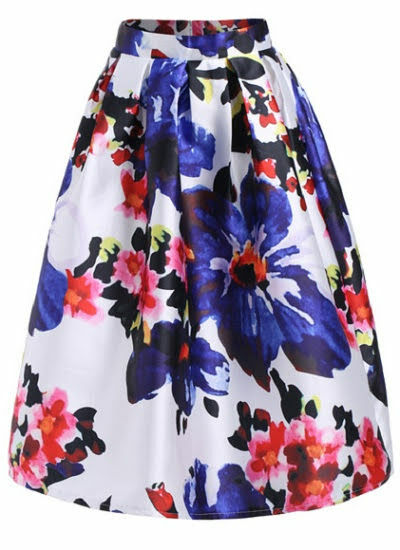 With the range of options available now, skirts are no longer just girly-girl items of clothing, they now also cater to fit a wide range of styles from that sweet girl-next-door-look to a power packed professional. A full-length skirt looks great on all body types and so that the first one I’m going to get for myself. I've been contemplating a flowvy number or a body con with a slit on either one or both sides to flaunt a bit of skin. This has been on my lust-list for a very long time but I never thought I could carry it off. 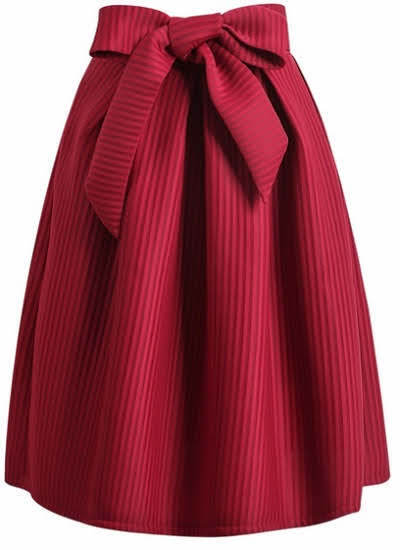 Now the days of being over judgmental are over and so a circle skirt that accentuated the curves is coming straight into the shopping cart. Though technical my professional days are on hold, the pencil skirt is a classic must-have statement piece. I love the fact that it can take you from fun to serious and vice versa in seconds. For those not comfortable in either a maxi or a mini can opt for a mixed length number. 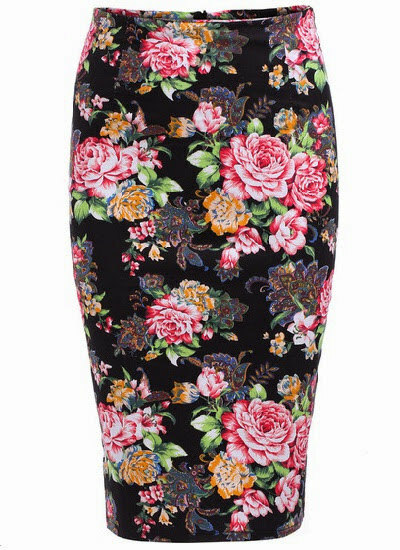 Midi skirts are a classic choice to look dressed up anytime with a pair of super heels and a plain top. Living in Mumbai means more sunny days than anywhere else and so it makes ultimate sense to invest in a versatile mini skirt. A fun length skort that’s a mix of a skirt and shorts adds character to the overall style. These gorgeous numbers are making it to my shopping cart today. What skirts are you eyeing this season? Click here to check the entire collection and if any particular one catches your fancy leave a link in the comments, we may surprise you. 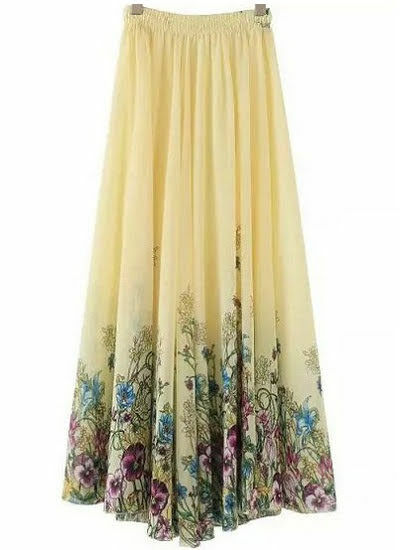 http://www.sheinside.com/Beige-Elastic-Waist-Floral-Pleated-Skirt-p-208071-cat-1732.html?utm_source=icynosure.in&utm_medium=blogger&url_from=icynosure I JUST LOVED THIS SKIRT, ITS PERFECT FOR INDIAN WOMEN. I liked the Maxi skirt very much, its color is so cool and its perfect for every Indian woman. For this season, I bought some circle and midi skirts. Except for the mini and pencil skirt which, I think, would not look good on me, I love your choices. Did you buy all these types of skirts? Would love to see your OOTD with the skirt. Can You Improve Your Heart Health With Soy Protein? Is Soy Good For The Health Of The Environment? Unauthorized use and/or duplication of this material without express and written permission from us is strictly prohibited. Excerpts and links may be used, provided full and clear credit is given to iCynosure with specific backlinks to the original content.